If left alone, damaged benching can cause serious problems for your home; not restricted to blockages, water loss or drainage movement. At JLH Drains, we specialise in providing comprehensive drainage and pipework re-benching services to ensure that damage and disruption is kept to an absolute minimum. We work throughout Kent, the South East, Medway and London, so if your home is experiencing drainage problems and believe your benching may be damaged, call the experts at JLH Drains today on 0800 781 8922. Using the very latest techniques and equipment, including high pressure water jetting, we will clear out your drainage and pipework before commencing the repairs and re-benching. Making sure the defective benching has been taken out, we will completely re-seal the base and then add the additional sand and cement to create the new benching. All work will be carried out while the system is out of use to ensure that everything has set before it comes into contact with liquid again. Our talented team of drainage experts have been working in the industry for decades, regularly helping to re-bench drainage and pipework for clients across Kent and London. No matter how difficult the requirements or challenging the situation, our drainage team will provide a comprehensive re-benching service that ensures the smooth running of your drainage for years to come. Based in Gillingham, in Medway and across four other locations in the South East, we specialise in providing drainage and pipework re-benching services to homeowners across Kent, Surrey, Sussex and London. 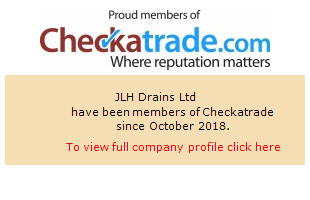 Whatever your requirements for quick and effective drainage and pipework re-benching, speak to the certified experts at JLH Drains; contact us today and we can arrange a no obligation survey and quotation with one of our specialist team. Working throughout Medway, Kent, London, Surrey and Sussex, our experienced team provide fast, reliable and affordable blocked drains repairs for domestic clients across the region. Drain CCTV surveys make it quick and easy to identify not only where your drainage problem is but also what has caused it. We carry out surveys for clients across Kent, Medway, Sussex, Surrey and London.